Today I'm featuring the opening paragraphs and a teaser from Dept. 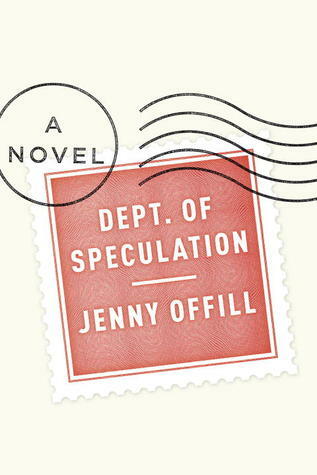 of Speculation by Jenny Offill, a library book that I finished reading yesterday. It was still months before we'd tell each other all our stories. And even then some seemed too small to bother with. So why do they come back to me now? Now, when I'm so weary of all of it. The story revolves around a married couple, chronicling the ups and downs of their relationship. After adjusting to characters without names and a mostly stream-of-consciousness narrative style, the 177 pages flew by, hitting their mark. I am still thinking about these characters and how they navigated the challenges of life and love. First Chapter ~ First Paragraph #65 and Teaser Tuesdays was originally published by Catherine for bookclublibrarian.com. This post cannot be republished without attribution.